Engineered for the tight squeeze. Professionals frequently come up against the problem: working spaces are becoming ever more cramped and hardly leave enough room to work. 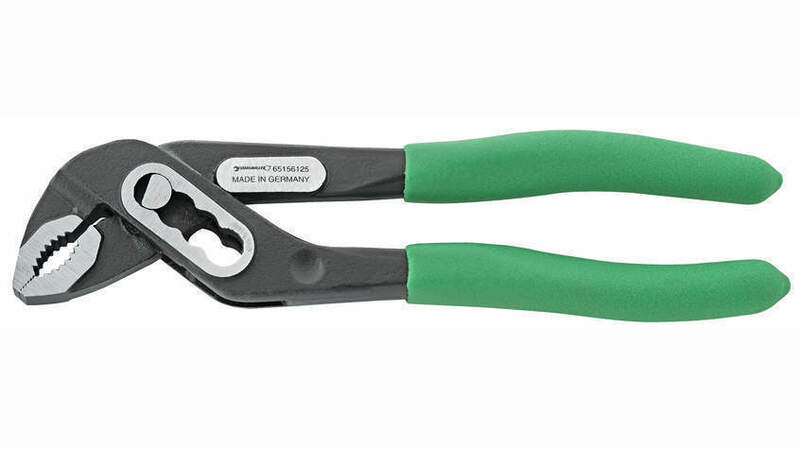 With its mini-slip-joint pliers 6515, STAHLWILLE now provides the solution. These high-quality crafted pliers are only 125 mm long, making them extremely compact. But with such key features as a box joint, four-way adjustment and an ergonomically designed handle, they offer just the advantages pros are used to from larger STAHLWILLE products. Compact. Ideally suited to working in tight spaces. Ergonomically designed. The carefully crafted handle shape and the plastic covers ensure firm grip and strain-free handling – even on longer working days. Resilient. The box joint means the tool will withstand tough use and ensures the durability expected of STAHLWILLE tools. High-grade. Black lacquered with polished hardened steel jaws. Made in Germany. Safe. Integrated anti-pinch mechanism to prevent injury from pinching.